Bored of looking at the same old wordpad? Don’t worry here’s something new for you to try out, it’s wordpad 2009. You might have heard of Aero shake and several other features in Windows7. 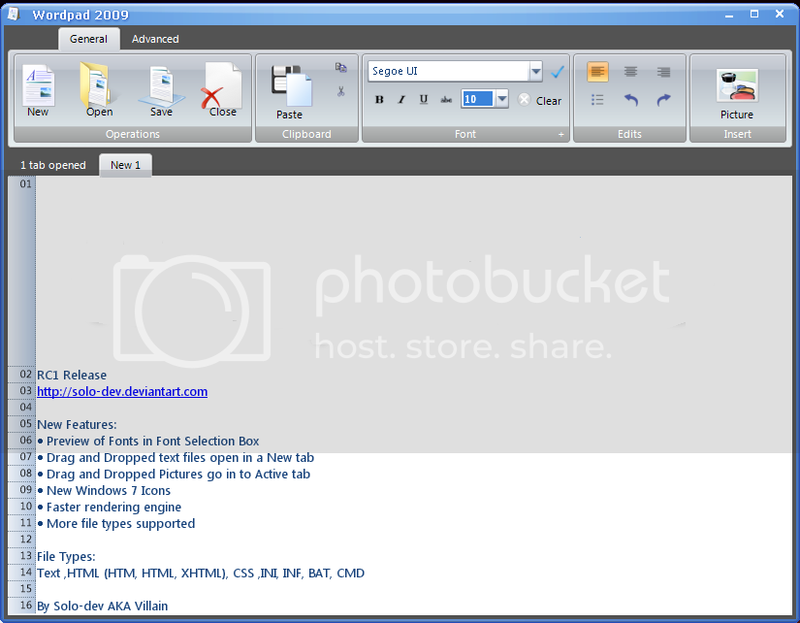 Wordpad 2009 is an effort to get a unique and user friendly wordpad like Windows7. Well, it’s not official from Microsoft but it’s an awesome outcome of some brilliant peice of coding by Ron Murphy from deviantart. The moment you see this app you’ll notice the ribbon user interface that you saw in Office 2007. So what’s so special about this app that makes it different from the normal Wordpad? It’s the ability to open and edit multiple documents in tabs. It has a set of all new Windows 7 icons and a drop down font selector.